Please note that I did not create this but that this is a combination from my own research. All files / programs were testing and scanned with my virus software ESET. I did not receive any errors / false positives or any virus,malware,data collection, etc..
(extra to go with the patch - Click here) - Run this after you installed the No cable Patch. Only have to run it once. 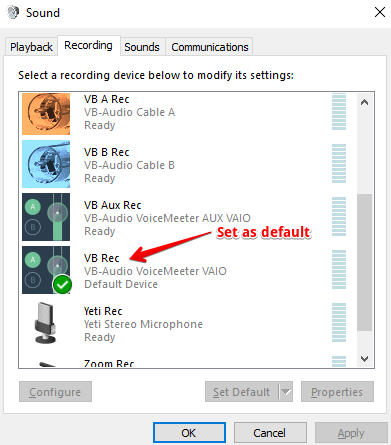 Install Voice Meeter Banana and select Voice Meeter (not AUX) as the default sound / recording device. In Reaper select the ASIO Zoom UAC-2 native driver and configure Bias FX as needed. 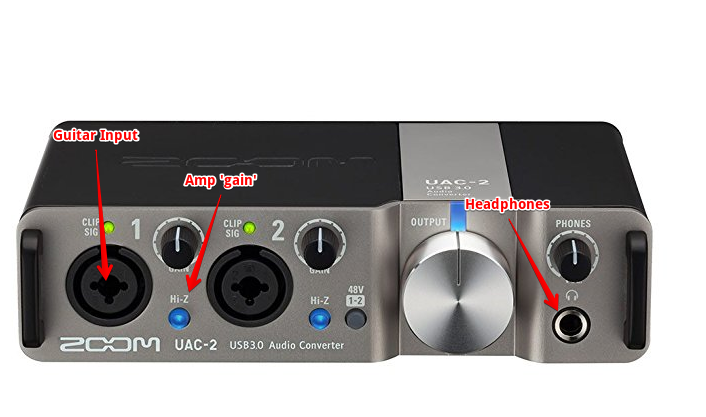 Also ensure the Hi-Z setting is enabled if your DAC has one. This will help to simulate the 'amp' style gain as expected. I'm creating cdlc's cool...It may not be easy but slowly I'll get there...Thank you to this great community. We are unbound, free, unshackled. This is actually the opposite. The Rocksmith cable itself is terrible. This again my own findings. The plus side is I do not rely on Rocksmith for the tones as I use bias. It's a much better alternative and gives no issues. If you are having trouble with this, what is your setup? More than likely something is off. My post isn't intended as spam or providing false information if in fact the settings did not work for myself. 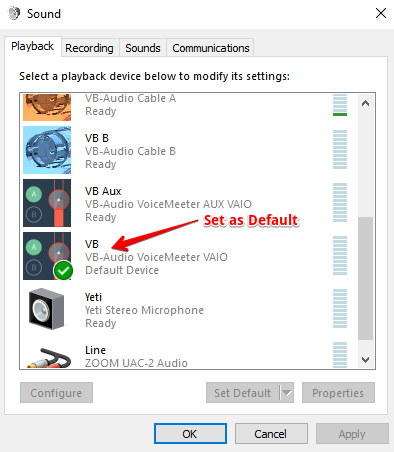 I updated with my internal 'voice meeter' buffer settings as well. This again is my own settings which I can confirm work with as little latency as possible. Instead of cutting down a method provide factual material on what is causing your latency increase. Every computer is different so the above settings specifically may not be best for you. That literally makes no sense - you're running the driver through an emulation that has to be done in real time, there is no way for it to not increase latency. If you're happy with your results I'm not going to argue with you on the matter. Emulation in and of itself increases the latency of whatever you're emulating. @ctrl : have you tried it ? I don't know if it's emulation or just redirecting the sound data. I'm using DFX audio enhancer to improve sound, and it adds no latency at all. I think Asio is a very interesting subject, when you have an external (not onboard) sound card with an asio driver build in i.e. I'm using a Firehawk FX pedal board, which has an inbuild Asio Driver. with about 5ms latency in RS ! Fighting the war against dead links, 1 cdlc at a time! I've tried to do this before but I've never managed to get the realtone cable hack to allow me to use ASIO on my Focusrite 2i2 so I have to stick to my official cable. 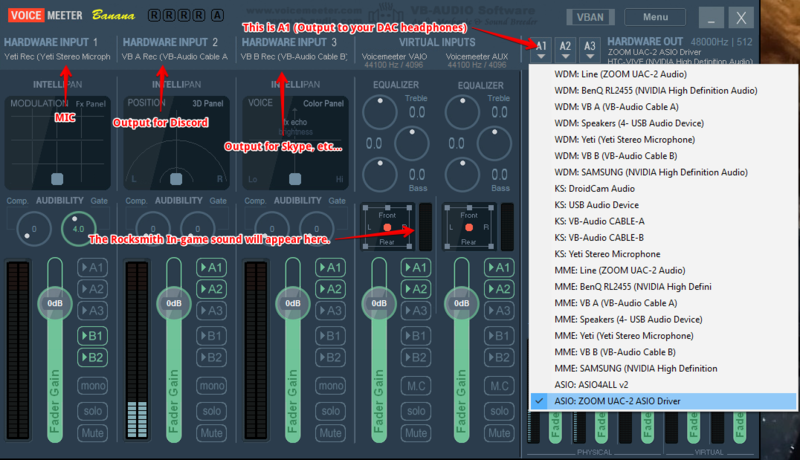 This is more of a sidenote but could be of interest for those looking at audio routing. I revisited this yesterday after this post reminded me, I did more searching and discovered SAR (Synchronous Audio Router). If you have an audio device with a genuine ASIO driver (not ASIO4all emulation) you can create virtual endpoints, (inputs and outputs that show up as audio devices in Windows as long as the DAW is running) to route sound into and out of your DAW, I managed to route a web browser and Rocksmith game audio into my DAW, in seconds compared to the hoops I used to have to jump through with Voicemeeter Banana. I use Ableton Live 10 but reaper works well as will probably any DAW. This routing happens faster than ASIO to ensure the low ASIO latency stream works. If you do have a look at SAR just be aware that SAR's automatic application routing no longer works on W10 due to the changes made to audio routing in the Spring Update. So once an endpoint has been created, the application will need to be routed using the Windows Sound Settings. Unfortunately after all of this I'm still unable to get an input into Rocksmith from my Focusrite 2i2, so wish I'd waited and bought the 2nd gen.
You've just made me realise I could have been using the sends on my 8 track mixer instead. Damn, I've been working inside the box for too long. Reading through you guy's posts. A good note is I am not using Asio4all. Another point yes, hardware routing is the true solution. Can't beat good ole analog! I have a behringer myself. Though it is nice to have less cables with the 'virtual' method. I will try to keep messing around and continue to update the OP. At the end this has us thinking creatively and that is what matters. As long as we find a usable solution to ourselves using whatever method, that is what matters. Also I do tech support work and the main reason why I started using voice meeter was because I needed to route my audio but in a very specific way. I wasn't even originally going to do Rocksmith in the way I have. Again hardware routing is better. If you guys find more ideas post it! Perhaps we can eventually have a few easy solutions for people to get to and not have to claw at Google to get an answer. There is another file I have I will attach as well that let's you set the specific device RS is using, give that a try as well. I'll attach it in the OP as extra. Meant to add as well, if you ever wanna do a screenshare let me know and I can try to assist in help get a voicemeeter setup working. It took me a very very long time to learn the ins and outs to finally figure out how to get it working. This is mint! Well done, lot of newbies here. I been hooking Rocksmith up to pro audio for years. Mostly with cables and the ole FX send. Having fun playing with this. I don't get any noticeable latency. Just played Enter Sandman hit 94% output from a helix, also 93% from Katana, 94% from Bias FX. Can also run it with RS cable but choose not to ie one less thing. Just saw your comment, I updated my in with a ForceASIO=1 setting. This noticeably decreased latency to close to my daw. (Now using Reason.) Feel free to copy above. Thanks!